The Firebirds want the whole world to know about how cool FIRST Robotics is. That's why we initiated Rock that BOT-ty, an effort to promote FIRST throughout the globe. In the essence of Flat Stanley, travelers pack printed copies of BOT-ty in their suitcases, and then take pictures with him alongside the world's most breathtaking landscapes, monuments and structures, spreading FIRST to those they meet. 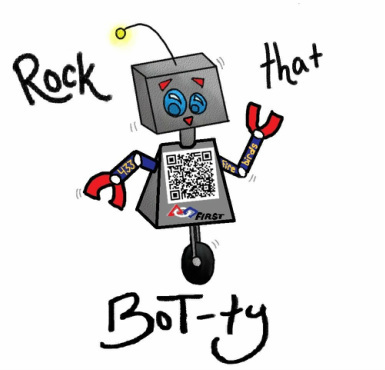 Through Rock that BOT-ty, we hope to raise awareness of FIRST around the world.